VATICAN CITY (CNS) — Christians can find hope even at the hour of death, which faith teaches is not a closed door but a wide-open passage to a new life with Christ, Pope Francis said. While all men and women are “small and helpless in front of the mystery of death,” Jesus’ victory over death assures Christians of the joy of the resurrection, the pope said Oct. 18 during his weekly general audience. 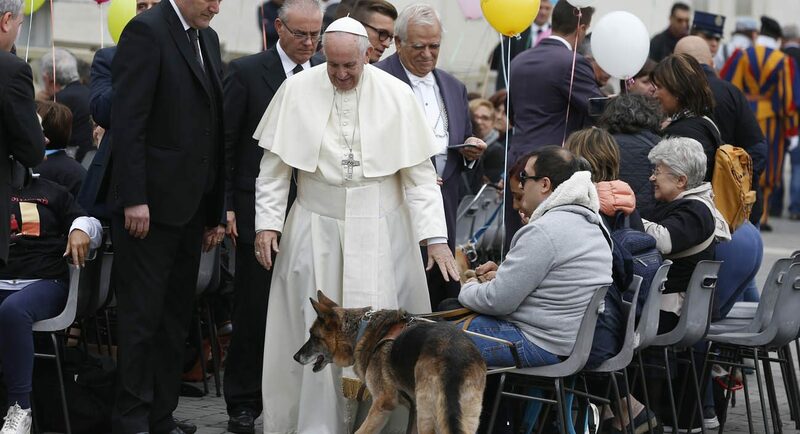 “Christian hope draws from the approach that Jesus takes against human death: if this (death) is present in creation, it is nevertheless a gash that disfigures God’s plan of love, and the savior wants to heal us of it,” the pope said.